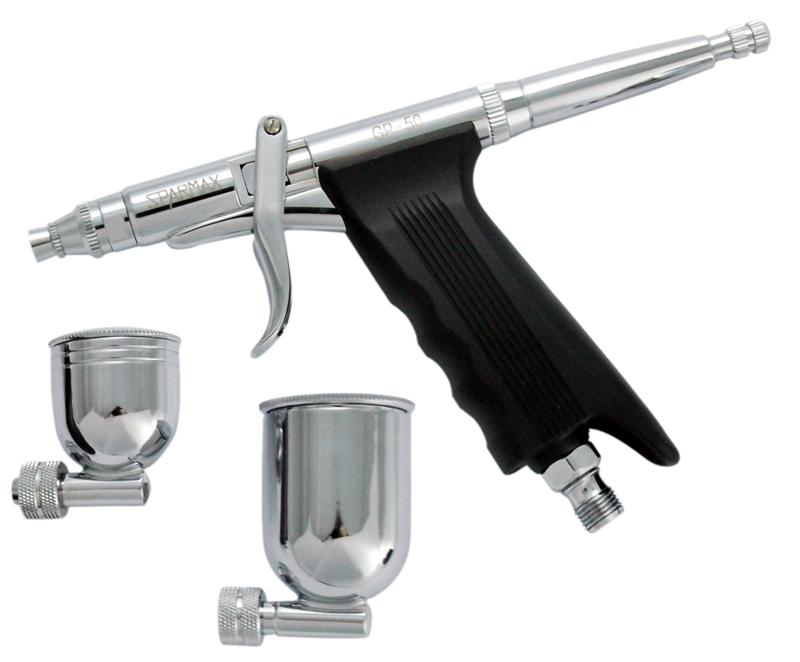 This dual-action, 0.3mm gravity feed airbrush has a 7cc colour cup and is ideal for professional application of color in detailed areas. The DH-103 is equipped with a color flow preset feature that allows the operator to precisely control the spray for increased accuracy when working in areas requiring fine detail. 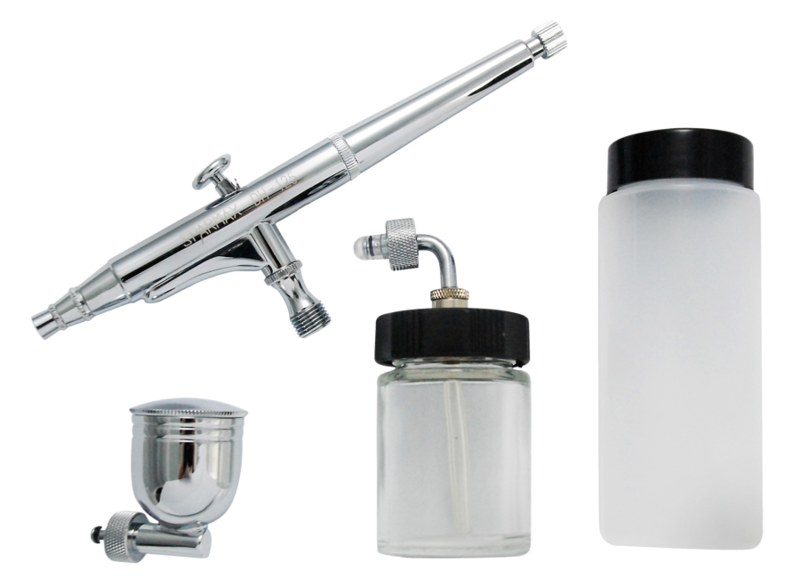 This airbrush is simple to clean and maintain. 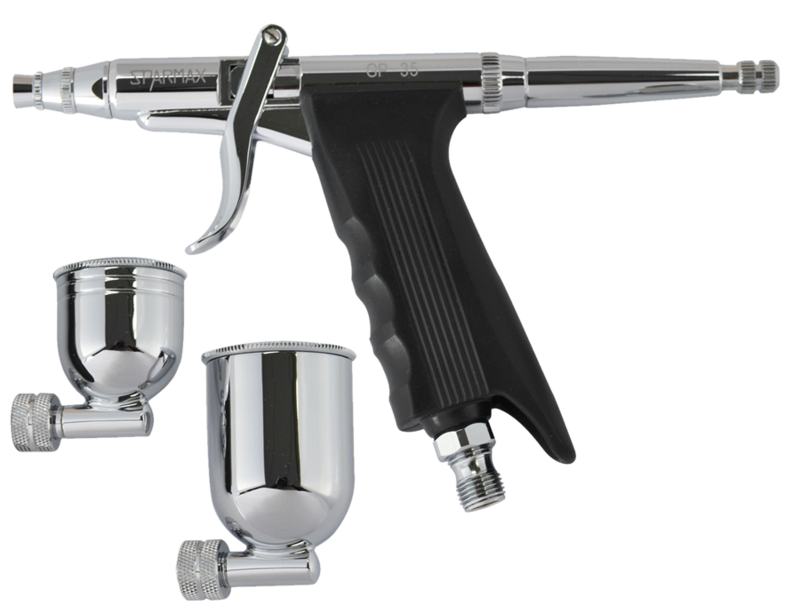 Gravity feed fluid cup : 7c.c. This high quality dual action. 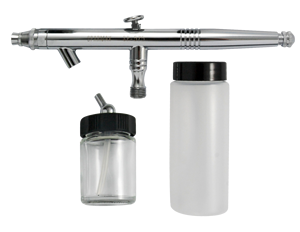 0.5mm suction and gravity feed airbrush comes with a 7cc detachable color cup, a 22cc glass side-feed bottle and an 88cc plastic side-feed bottle. 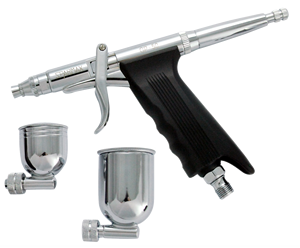 It is equipped with a color flow preset feature so the operator can adjust the spray when required for detailed work. 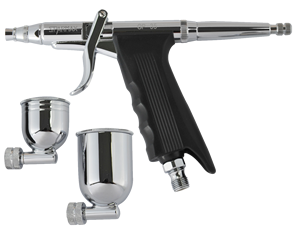 A professional quality, dual-action 0.5mm bottom-feed airbrush that is ideal for controlled application of color over a moderate-sized area. 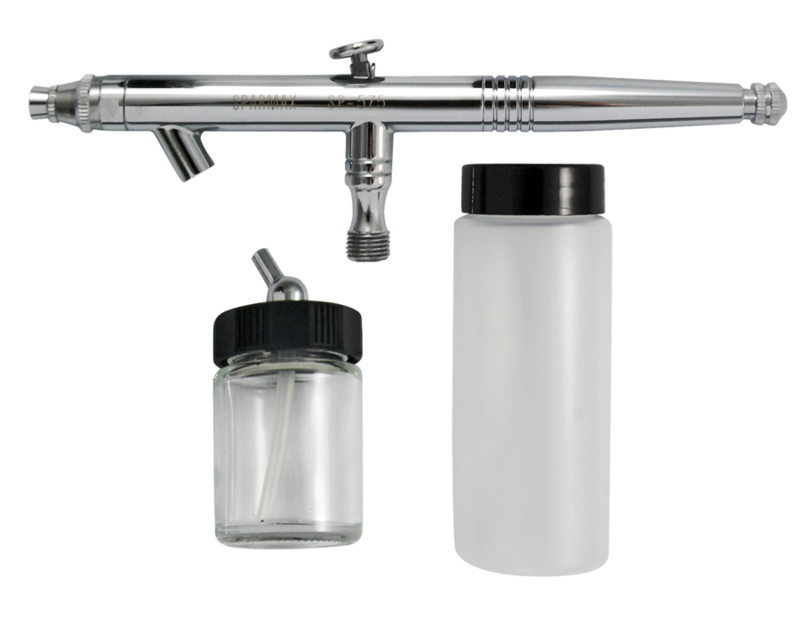 The airbrush is supplied with a 22cc glass feed bottle and a 65cc plastic feed bottle; additional bottles can be purchased separately. The color flow preset feature allows the operator to precisely adjust the flow of color as required. 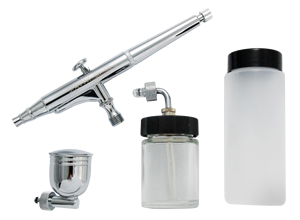 The SP-575’s simple construction allows for easy cleaning and maintenance.